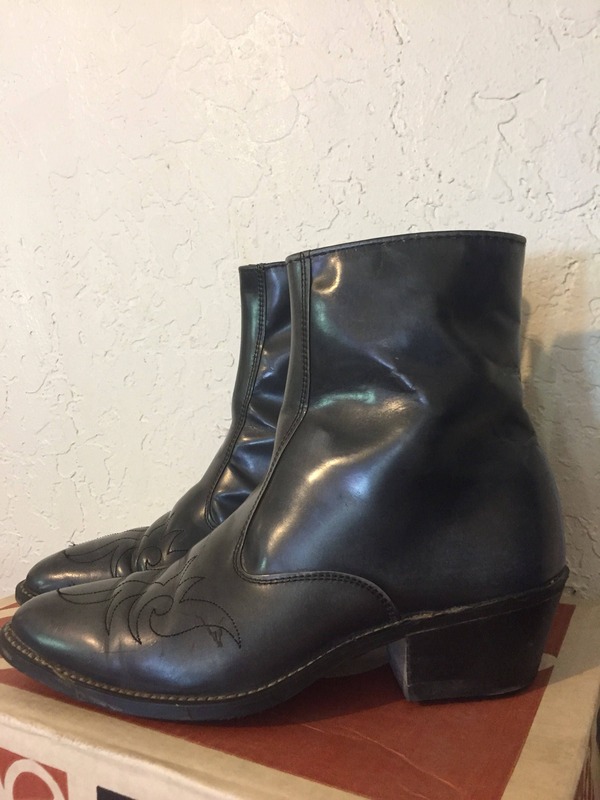 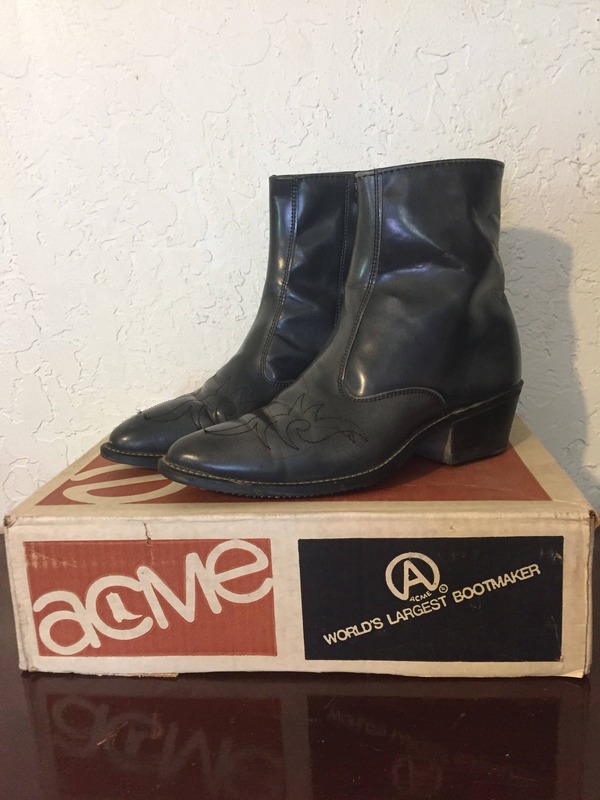 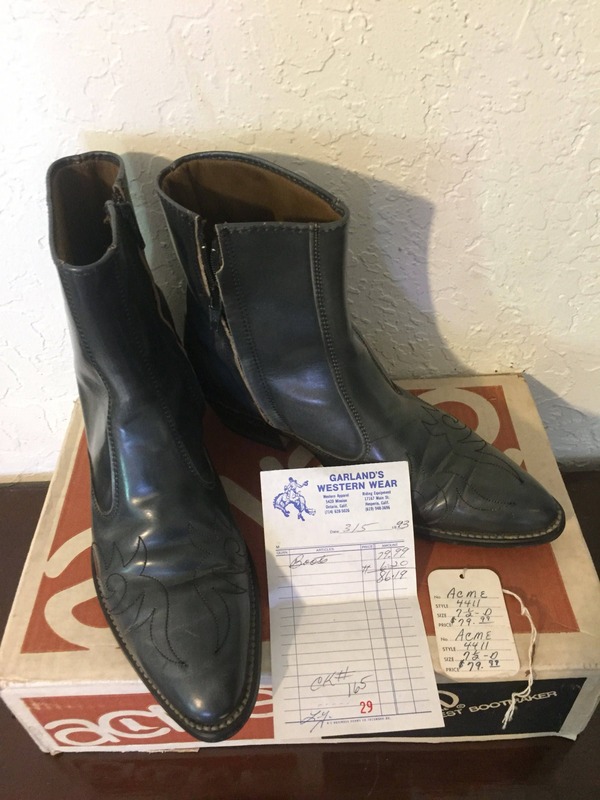 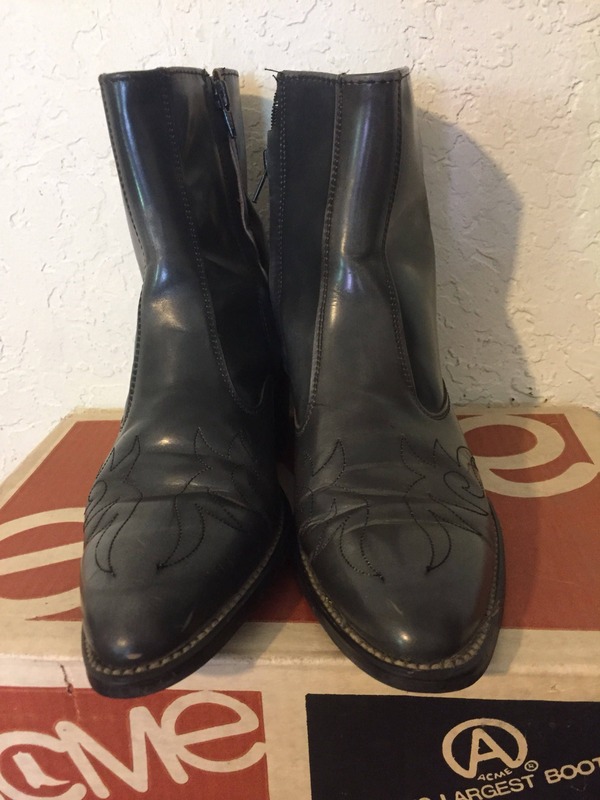 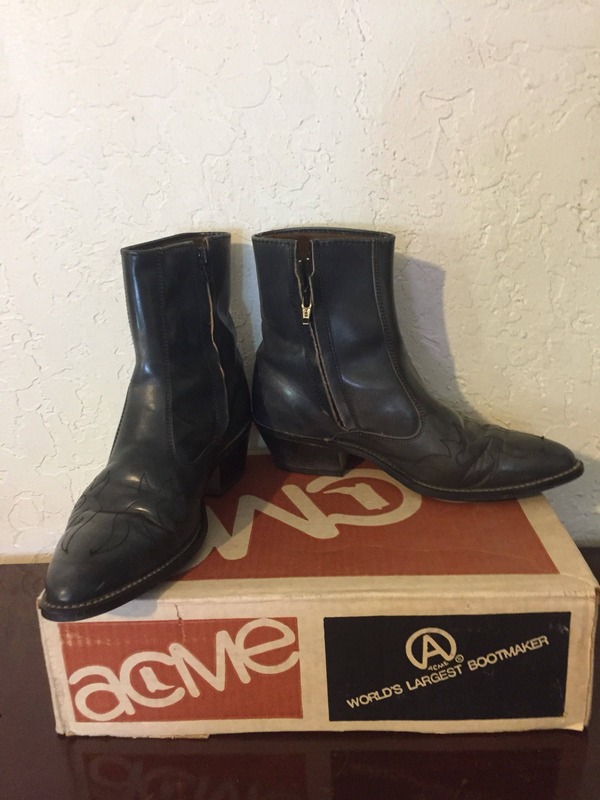 Vintage ACME Western Boots. 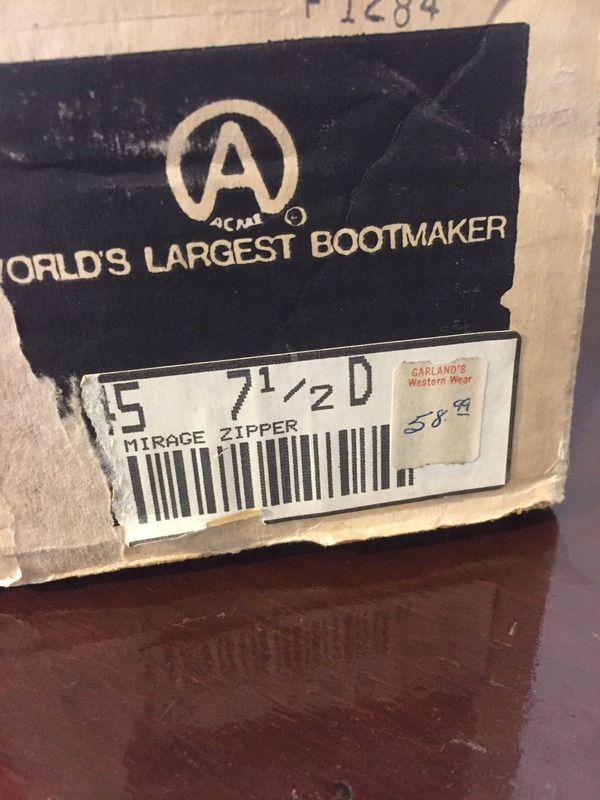 Ankle length with side zipper. 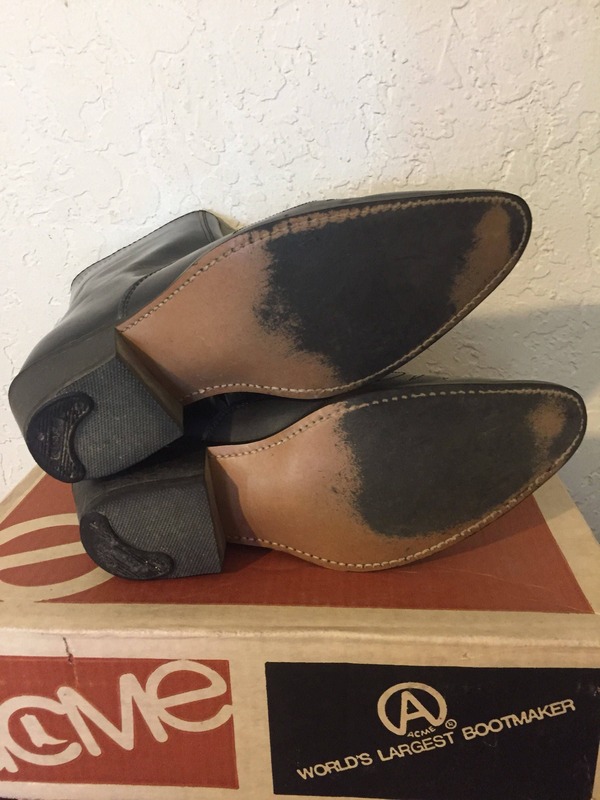 Gray leather with black heel. 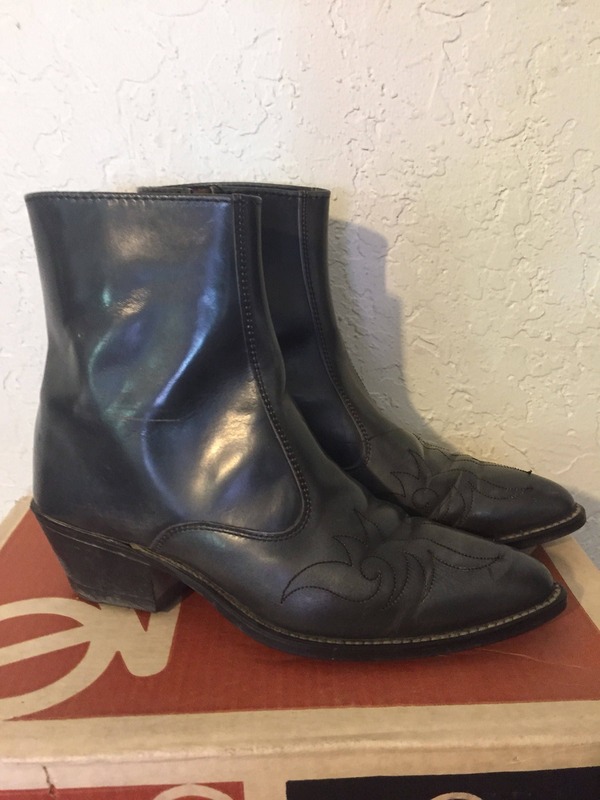 Used but in good condition.